Two decades ago, festivals consisted of little more than a field, a stage and a campsite. Today, however, increased competition, cheap flights and more discerning patrons have seen the festival landscape alter dramatically, with festival-goers more demanding than ever before. A generation who constantly desire fresh experiences has forced promoters to change tact, with increasingly spectacular settings used to entice punters to part with their hard earned cash. Returning for its second summer after last year's auspcious start, UVA takes place in a 15th century monastery-turned-vineyard. A UNESCO World Heitage site, the action will be spread over three stages, while the music on offer is utterly exceptional, with Call Super, DJ Sports, DJ Central and Ilian Tape's Skee Mask all playing prominent roles. UVA's new stage meanwhile, will play host to more experimental, ambient and jazz sounds, which is sure to make for a welcome break from all things 4/4. Music aside, UVA is also pushing an extensive art programme, with none other than Fett Burger collaborator Luca Lozano providing the visual artwork. Participants are also encouraged to create art for the festival which will later be donated to local organisations and buildings. A festival with a family-vibe that we're really digging the sound of, UVA could well go down as one of this summer's best. Located in the Garnizon Modlin, a 19th century fort that's the fifth longest building in Europe, Insytut boasts a line-up that veers firmly toward harder planes. The inagrual festival by Poland's leading event organisers, Instytut — if its setting and line-up is to believed — is clearly intent on making an impact. Music aside, there will be local and international audiovisual artists turning up to bring that extra spark. Gracing the stage at the Garnizon Modlin are some seriously heavy-hitters, with acts like Dax J, Nina Kraviz and Marcel Dettmann already having been announced. Additionally, the likes of Tresor’s Oscar Mulero, Canada’s Orphyx and many others will be performing across the three stages. If you're a fan of techno and genuine European history, consider Instytut an essential pitstop this summer. Yes, you read that right: Electroland does indeed take place at Disneyland Paris. Now in its second year, the park will be open as usual during the day, but at night it will be transformed, complete with a huge visual display taking place on the park’s Hollywood Tower Hotel. The open-air festival will be headlined by EDM royalty in the shape of Dimitri Vegas & Like Mike, Robin Schulz and Afrojack. Sweden’s Klingande and France’s DJ Bob Sinclair will also be making appearances and if you're down for dancing in the last place you ever thought you would, Electroland might just be the one for you. Now in its fourth year, Paradise City is set to return this summer to the Castle Ribaucourt in Belgium. Located just 15 minutes outside of Brussels City Centre, Paradise City (a homage to the famous Guns N' Roses track, perhaps?) is a festival with a conscience, and has already won awards for being environmentally friendly courtesy of its biofuel generators and solar panels. This year, all of the stages and décor will be made from fully recycled material. Aside from being environmentally conscious, Paradise City also boasts an astounding line-up, with DJ Koze, Laurent Garnier, Or:la and even Omar Souleyman all pencilled in. If you want to party in a beautiful, green location and still have easy access to one of Europe’s most gorgeous cities, Paradise City is sure to be right up your alley. Russia’s Gamma festival takes place at a 19th century brewery in St. Petersburg. This summer’s event will be the third anniversary of what is now Russia’s largest music and art festival. Playing host to a wide range of art and music, although the line-up is yet to be announced, the promoters are promising everything from 'academic neoclassicism to classical house music to experimental to deep techno', as well as a impressive 80 musicians from 16 countries. The event will also feature 'Artification', an artistic concept that allows artists to present their works and collaborate with one another. If you're keen to immerse yourself in the avant-garde and enjoy a whopper party while you're at it, Gamma Festival is sure to tick all the right boxes. RPMM Festival takes place in the beautiful city of Porto in sunny Portugal. One of Europe’s oldest cities, the 12th century city centre is a UNESCO World Heritage site that RPMM plans to turn into an adult playground. Taking place in a variety of venues, there will also be locations on the Douro River, while the main stage will be the Alfandega building, once the centre of the shipping trade in Porto. Although its line-up features some of the scene's foremost names (Âme, Damian Lazarus and Francesca Lombardo are all locked in already), the festival is equally keen on celebrating local musicians. Indeed, the festival's creative director is Jonny TV, a man known for his work with The Rolling Stones and The Chemical Brothers. He promises to use the city to deliver a sensory experience unlike anything you have ever experienced. Knowing his work with the Chems like we do, we reckon he's defintely got a few special tricks up his sleeve. Festival locations don't come much more eerie than abandoned prisons. Yet that's exactly what Estonia's Moonland Festival is serving up. Another UNESCO world heritage site on the list, the festival will feature a diverse cast of acts, not least Nastia, Octo Octa and Brouqade boss, Dana Ruh. As if the music and the setting isn't enough of a tantalising prospect in itself, Moonland will also feature 3D mapped projections on the surrounding landscape as well as a host of immersive experiences. “Moonland as a concept speaks to us as a tribute to the arid landscape created by time and human strife,” the festival's official statement reads. It's not the first time the site has hosted an electronic music festival, with last year's Into The Valley also set on the site. The Germans are back at it again with the harsh environments and banging techno. This time it's the turn of an abandoned military bunker, Honecker-Bunker. Built to host the DDR’s elite in the event of nuclear war, the bunker remained a secret until after the fall of the Berlin Wall. Now it's going to be put to much different and frankly better use courtesy of the inagrual 5001. Featuring two stages, one for techno and one for ambient, 5001 has already announced acts such as Accurate, Freddy K and Shlømo among others. 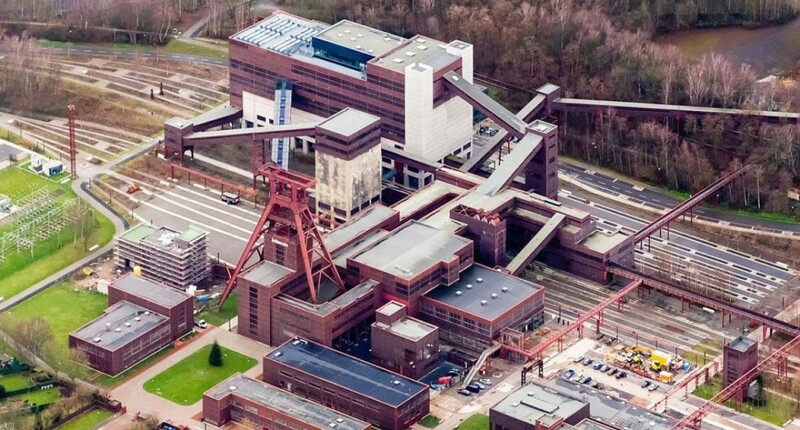 An open-air rave that will take place in an old coal refinery in the city of Essen, Zeche Zollverein is another UNESCO World Heritage site and another that corresponds with Germany’s penchant for having raves in former industrial locations; Berghain and Tresor being other well-known examples. 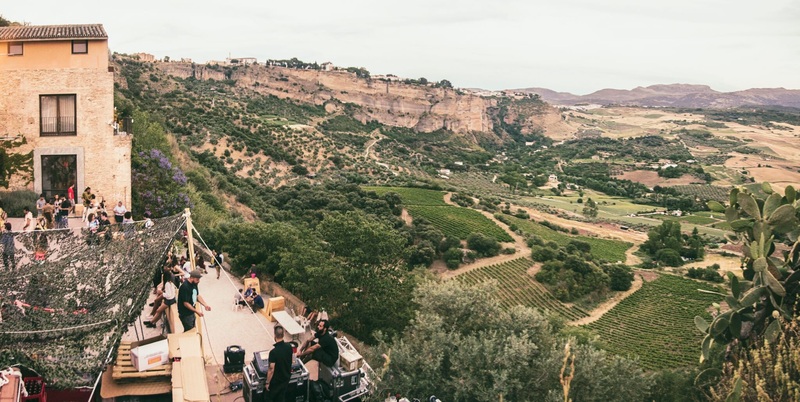 The event will occupy two floors of the plant and if the festival's swimming pool isn't enough to get you excited, chances are a line-up that features Shanti Celeste, Ben UFO and Objekt most certainly will. Other acts worth catching over the weekend are Berlin’s African Acid Is The Future and Baka Gaijin residents Simon Hildebrandt and Le Denier. If partying in an oil refinery with some of Europe’s hottest DJs doesn’t sound like a good time, chances are you're on the wrong website! Nova Batida takes place in two buildings on the old Lisbon docks, the LX Factory and Village Underground Lisboa. The LX Factory is a former factory complex that comes with rooftop bars, restaurants and fashion outlets spread across its courtyards, avenues and outbuildings, while Village Underground is an abandoned tram terminus that has been repurposed as a film and event location. Featuring a more diverse line-up than most, Nova Batida is hosting everyone from Little Dragon to Seun Kuti, Gilles Peterson to Peanut Butter Wolf. If you get tired of the music, you still have access to Lisbon’s world-class surfing locations and range of activities including yoga, shopping and dining. For a blast of culture, sun and music, Nova Batida really does sound like a tantalising proposition.